Hide this Project (Bestech Park View Spa) Discover properties in other projects by hiding the ones that doesn't interest you. You won't see them in your searches further but you can unhide anytime later. Hide this Dealer (Simar Realtors)Discover properties by other dealers by hiding those whom you have already spoken to. You won't see them in your searches further but you can unhide anytime later. Hide this Dealer (Imperial Properties)Discover properties by other dealers by hiding those whom you have already spoken to. You won't see them in your searches further but you can unhide anytime later. Hide this Dealer (Propertyhelp.in)Discover properties by other dealers by hiding those whom you have already spoken to. You won't see them in your searches further but you can unhide anytime later. Hide this Dealer (Goyal Properties)Discover properties by other dealers by hiding those whom you have already spoken to. You won't see them in your searches further but you can unhide anytime later. Hide this Dealer (Property Karobar)Discover properties by other dealers by hiding those whom you have already spoken to. You won't see them in your searches further but you can unhide anytime later. Hide this Dealer (Confidence Realty & Management)Discover properties by other dealers by hiding those whom you have already spoken to. You won't see them in your searches further but you can unhide anytime later. Hide this Dealer (oxford realtors)Discover properties by other dealers by hiding those whom you have already spoken to. You won't see them in your searches further but you can unhide anytime later. Hide this Dealer (Next Key)Discover properties by other dealers by hiding those whom you have already spoken to. You won't see them in your searches further but you can unhide anytime later. Hide this Dealer (Gayatri Properties)Discover properties by other dealers by hiding those whom you have already spoken to. You won't see them in your searches further but you can unhide anytime later. Hide this Dealer (JSM Associates)Discover properties by other dealers by hiding those whom you have already spoken to. You won't see them in your searches further but you can unhide anytime later. Hide this Dealer (Yards to Acres)Discover properties by other dealers by hiding those whom you have already spoken to. You won't see them in your searches further but you can unhide anytime later. Hide this Dealer (Axiom Land Base Pvt Ltd)Discover properties by other dealers by hiding those whom you have already spoken to. You won't see them in your searches further but you can unhide anytime later. Hide this Dealer (Kore Konsultants)Discover properties by other dealers by hiding those whom you have already spoken to. You won't see them in your searches further but you can unhide anytime later. Hide this Dealer (India Realty)Discover properties by other dealers by hiding those whom you have already spoken to. You won't see them in your searches further but you can unhide anytime later. Bestech Group brings to you Park View Spa located at Sector-47 Gurgaon. The project offers designed 3BHK and 4BHK apartments with separate servant quarters comprising low-rise, mid-rise and high-rise group housing. Bestech Park View Spa offers an experience of living in well-spaced apartments amid wide expanses of nature. The project also comes with a price list that will keep you amazed with the offers. This is a hot project for buyers that are looking for a dream home at affordable prices. 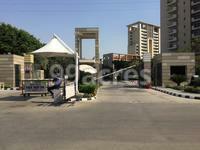 Sector-47 located in Gurgaon is a rapidly developing area, located near to NH-8. The ripples of development spread all over the city stuffing it with all the needed public utilities and making it a desirable destination to reside for all the income groups. Sector-47 located just on the NH-248A in Gurgaon is the best place for people looking to invest in. It was earlier known as Badshahpur situated next to other well-developed localities of Gurgaon. Sector-47 is a fine choice in case of investment, as is located on Sohna road and Golf course road on its sides. It is a developing locality in Gurgaon and has several schools and supermarkets. The national capital territory of Delhi boundary's it on its southern sides having better connectivity. Sector-47, Gurgaon is developing very fast in the case of real estate industry. With its major sector under construction, price trends in Gurgaon have shown a good return on investment. In which area is Bestech Park View Spa located?The project is situated in Sector-47, Gurgaon. What size of flats are available in Bestech Park View Spa? 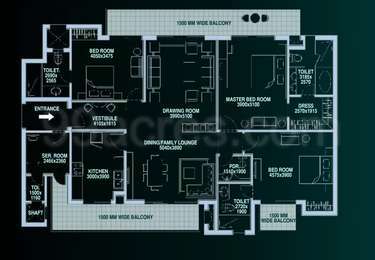 The apartment sizes in the project vary from 2470.0 sqft to 3715.0 sqft. 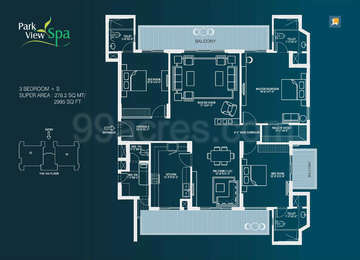 What is total area of 3 bhk in Bestech Park View Spa? 3 BHK units in the project are available in a size of 2470.0 sqft to 2995.0 sqft. What is total area of 4 bhk in Bestech Park View Spa? 4 BHK units in the project are available in a size of 3125.0 sqft to 3715.0 sqft. What is the area of Bestech Park View Spa?The total area that the project occupies is 13.0 Acres. What is total price of 3 bhk in Bestech Park View Spa? 3 BHK units in the project are priced at Rs. 23000000 to Rs. 27000000.
ects, 7.5 million sq. ft. of under construction projects and 11.5 million sq. ft. of projects under planning. Bestech has partnered with renowned Indian internationally acclaimed architects, designers and consultants. The Group has also tied?up with International Hotel Chain ?Carlson Group? and owns Leed Certified 5 star hotels in Indian cities likes Nagpur, Indore etc. The Group now plans to expand its wings to the entire nation with a newly launch brand ?Park Inn by Radisson? wherein they are developing 50 hotels across India. As a Multi-specialty Conglomerate, the Group has explored various verticals and now plans to explore new and uncharted vistas to its existing portfolio with its core experience of quality construction and exceptional partnerships.? Hi Kapil, Bestech Park View Spa is a ready project which was completed in Jan 2015. At present, you can get new units as resale units in this project. The new booking base price measuring 2,470 sq ft apartment will cost you for around Rs 2.40 crore whereas you can get resale 2,470 sq ft apartment at a minimum price of Rs 2.30 crore. Before finalising the deal, I would suggest you to do a site visit of the property. I am an NRI who will be shifting back to India in 2017. I want to enquire about the specifications that the builder offered at the time of possession. YOU CAN PL LOG IN TO MY PERSONAL PROPERTY AVAILABLE FOR RENT (FULLY FURNISHED) - THIS REFLECTS ALL THE DETAILS INCL DESCRIPTION /SPECIFICATIONS AMENITIES ETC .